Hey everyone! 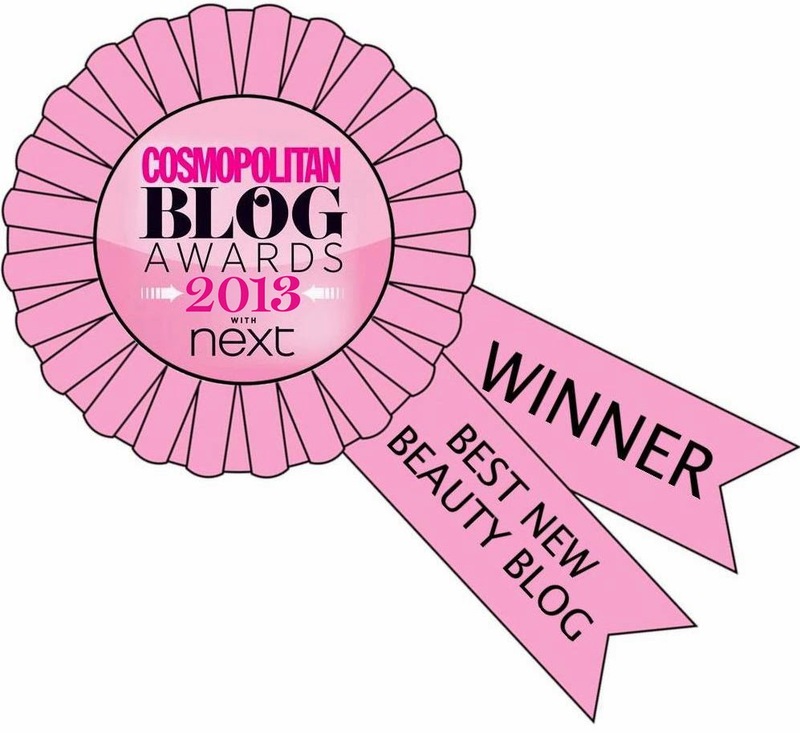 I'm very excited to show you today's post as I'm super proud of it. 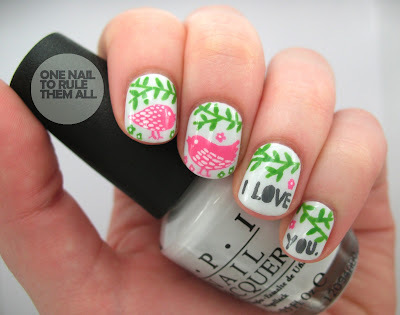 I know I should probably be modest but I love Rob Ryan and I'm so happy to have his work on my nails finally! If you dont know who Rob Ryan is I suggest you do some googling, he's a British artist who does lovely paper cut outs and screenprints which have been transferred onto many things. And you can find his blog here. This year for christmas I got a mug, a calender and a money box. And today's design is based off the money box, which you can see below, but I adapted the text to be more valentines-ey. I'm really happy with how this design came out, I probably chose a green that was a tad too bright but even so I really think you can tell that they're based on his style. 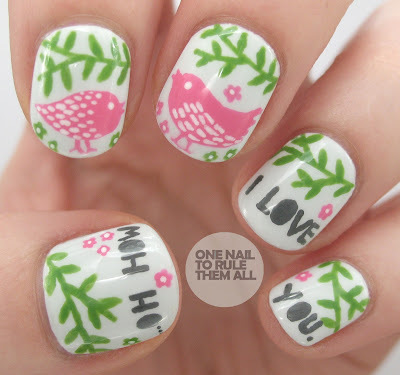 He does a lot of designs with birds and this specific text. 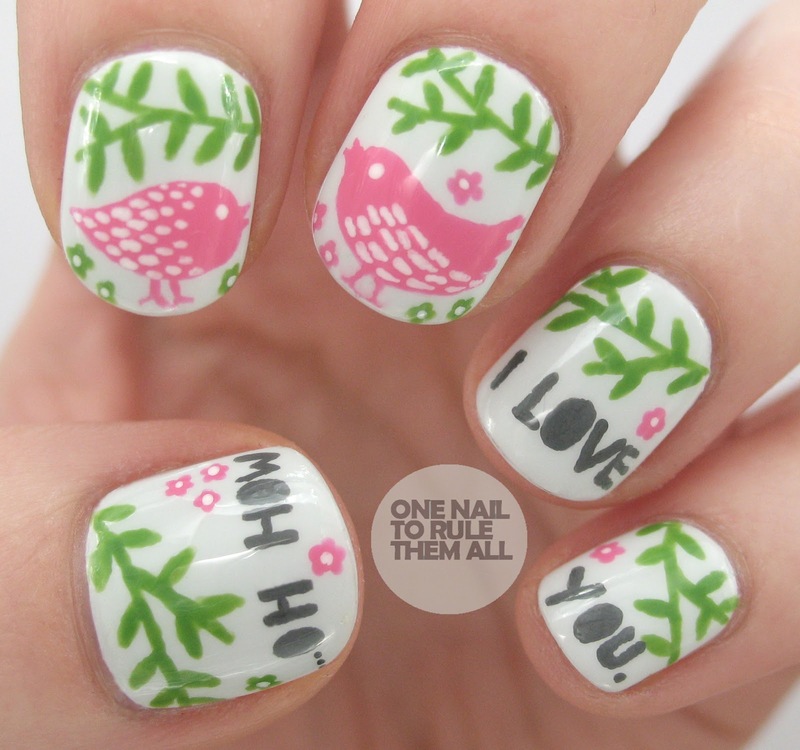 I used a base of OPI - My Boyfriend Scales Walls, and then I added OPI - Greenwich village using a small, cutdown, detailing brush, which I also used for the birds in Barry M - Bright Pink, the birds feathers in white acrylic paint, and the writing in white and black acrylic paint. All topped off with two coats of seche vite. 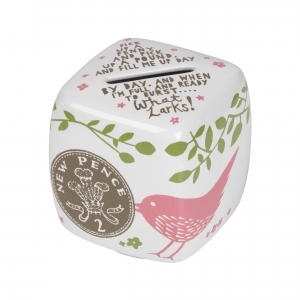 This picture of the money box was the only one I could find online and I dont feel it shows the colours very well, my nails were pretty accurate to the colours of the money box in reality. What do you think? Let me know in the comments, I love reading what you have to say! It came out great, the birds must have taken a while to do, but I really like how the vines/leaves look especially. I remember doing something similar a while ago and they did not turn out, haha. I love this manicure! SO pretty. OMG, this is so gorgeous! I wish I could do detail work like this! The birds are really cute!! Love it! I think it all looks amazing! It's Valentine-y without being too sugar coated, very very very appropriate! You're so skilled also; the drawing came out just perfect! Love these, Alice! 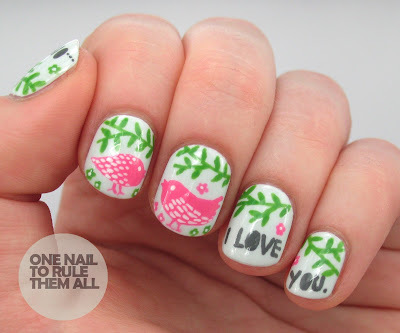 The little birds are so cute, and the color combo is great. Also, your lettering is perfect! Love the money box, colors go well together. You are really talented your nails are identical to the money box. I didn't know Rob Ryan, but this is so pretty! I've never seen something like it before, you can definitely be proud of it :) Great detailed work with the birds as well! This is really beautiful! I love the colours and that it's a Valentine's manicure without being really bright pink and cheesy! Adorable - love the inspiration! I can't believe you did that yourself! That is soo amazing! i love these sooooo much! Absolutely exquisite! Love this so much! You did a perfect job !